This product is now obsolete and has been replaced by the GEM5000. 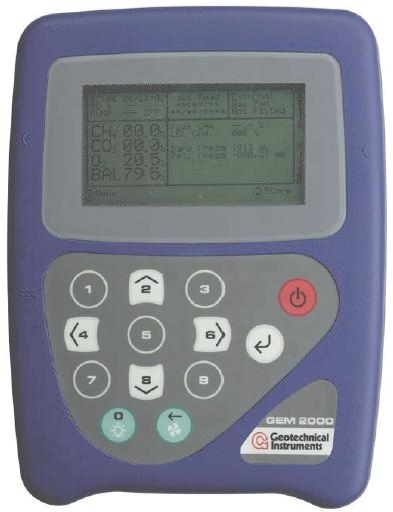 The GEM 2000 by Geotechnical Instruments has been designed for gas extraction systems, flares and migration control systems. This unit allows standard landfill monitoring and, in the GEM mode, can display calorific gas content of a gas extraction system. Ideal for maximising extraction efficiency and quality for waste to energy systems.